A lightweight training top, the Amplify Tank is a smart choice for when you want to take it to the next level. Made from our ultra-light 130gm jersey, the fabric features corespun fibers, where we wrap merino and natural Tencel around nylon for added durability and a great feel. Cool-Lite technology keeps you cool when things start to heat up, and a mesh back offers added ventilation. 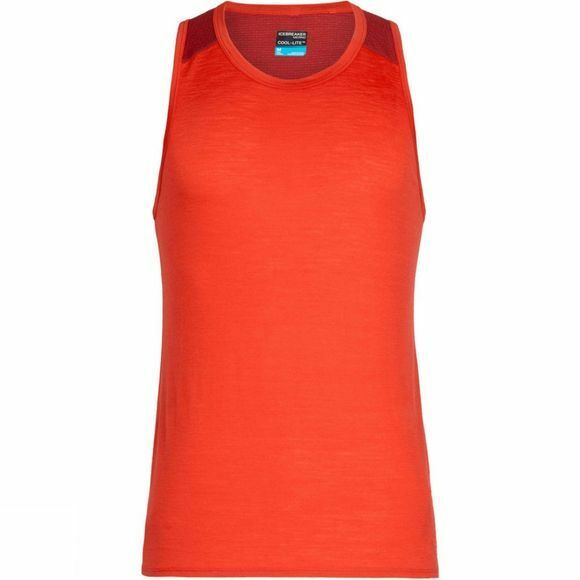 This breathable tank wicks away moisture for maximum comfort and performance whether you're hitting the gym or out on the trail. The design features off-set shoulder seams to prevent chafing, and a drop-tail hem for added coverage.